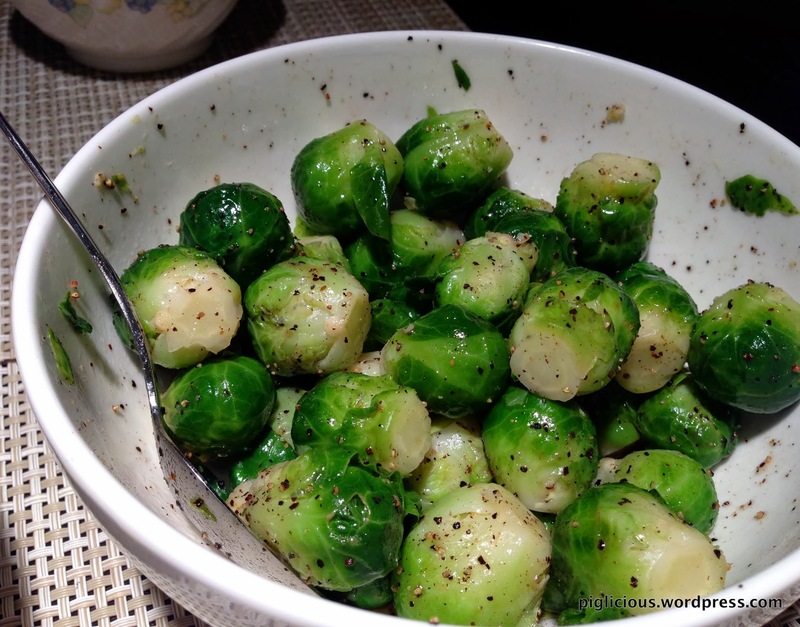 Wash the sprouts and remove the outer (shorter) layer for each sprout. Chop off the stems (about 2 mm) for each sprout. 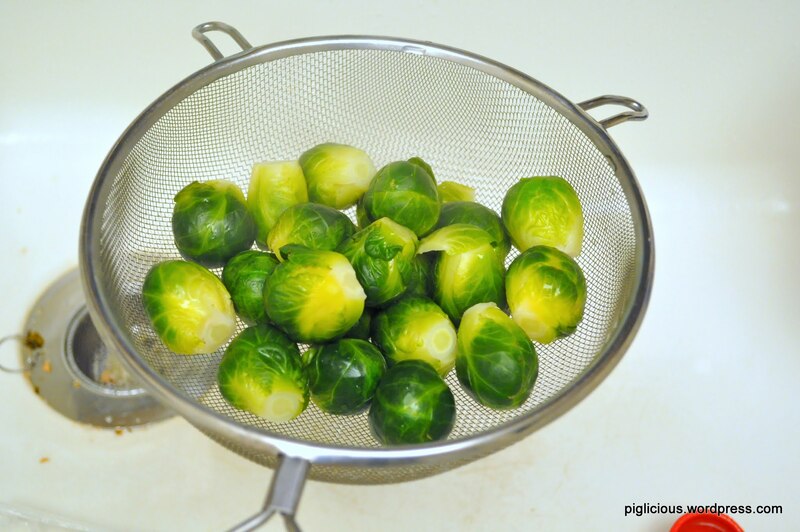 Bring a pot of water to a boil and place the brussels sprouts in. Boil on high for 3-4 minutes (depending on the size of the sprouts. 3 minutes if smaller sprouts). Strain the sprouts right away and run them under cold water for about 1 minute. Let the sprouts sit and cool. 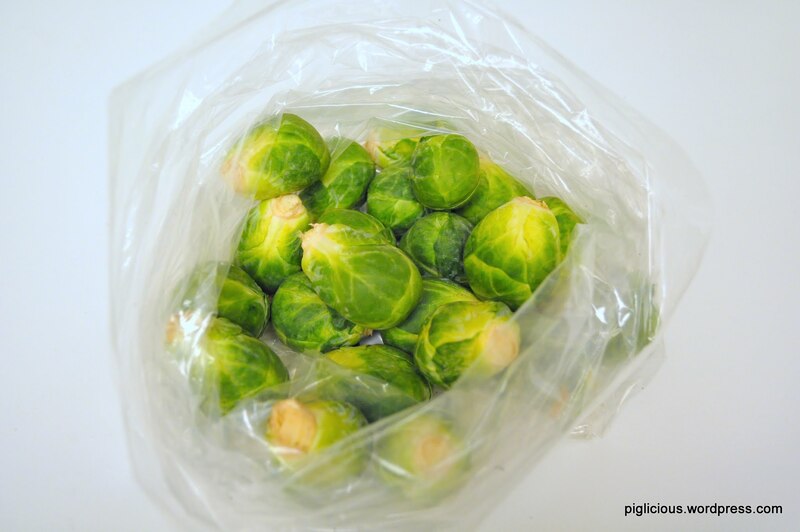 *If the sprouts are larger in size, you can cut them in half (after boiling them). 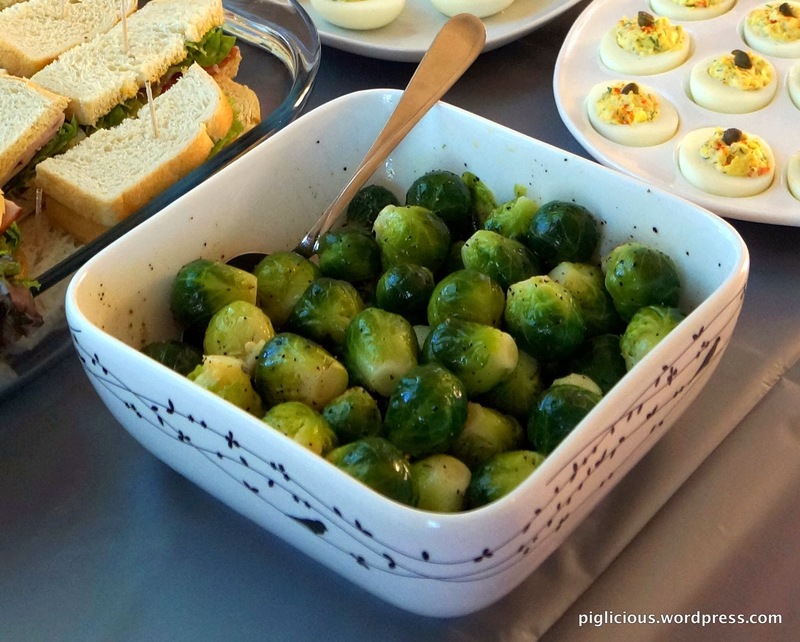 While the sprouts are cooling down a bit, use a large bowl to make the olive oil mixture. In the large bowl, put the extra virgin olive oil in. Add salt to taste, and add the pepper (I like it peppery, so I use this pretty freely). Mix and taste it. The mixture should be just slightly salty. Once you have the desired saltiness and pepperiness of the mixture, place the brussels sprouts in the bowl and mix thoroughly. Let it sit for 5 mins and your dish is ready!